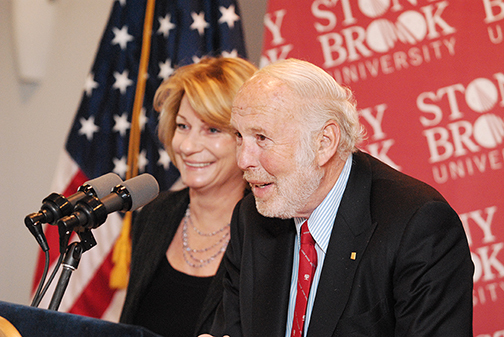 Jim and Marilyn Simons announce their $150 million lead gift for the Campaign for Stony Brook on December 14, 2011. Stony Brook, NY- August 22, 2018 – Stony Brook University has concluded the most successful fundraising effort in SUNY history. 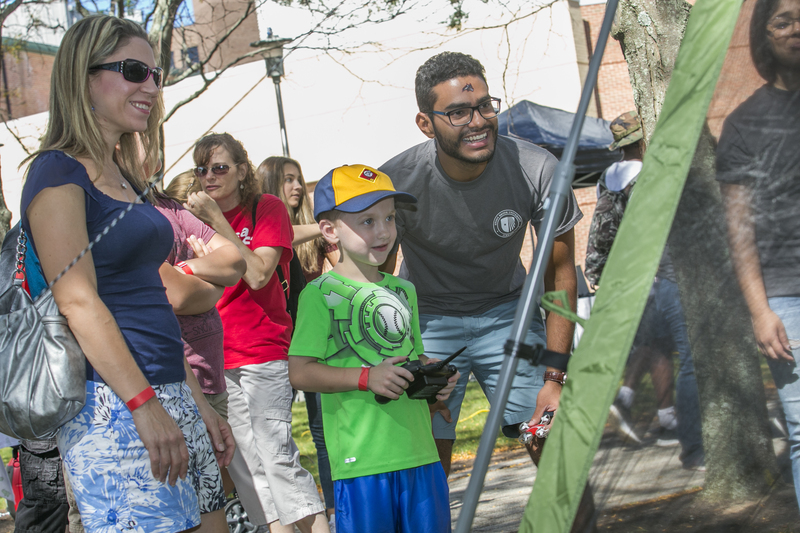 Over the past seven years, The Campaign for Stony Brook raised $630.7 million from 47,961 friends, alumni, foundations and corporations, exceeding the $600 million goal by five percent. 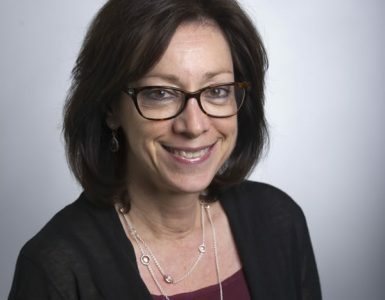 Designed to strengthen areas of strategic importance to the University, the focus of the Campaign for Stony Brook was to raise funds for financial aid and endowed chairs and professorships to attract and retain the best students and faculty; for research investments to accelerate productivity and new discoveries; and for interdisciplinary academic programs and facilities. Campaign leadership —including co-chairs Richard L. Gelfond, BA ’76, Peggy Bonapace Gelfond, James H. Simons, PhD, Marilyn H. Simons, BA’74, PhD ’84, Cary F. Staller, Esq., Marisela H. Staller, Glenn R. Dubin, BA ’78, Eva Andersson-Dubin, MD, President Samuel L. Stanley Jr., Senior Vice President for University Advancement Dexter A. Bailey Jr., and the Stony Brook Foundation Board of Trustees —collectively donated $310.9 million. 44 newly endowed chairs and professorships across campus in areas such as modern American art, metabolomics, Hellenic studies, nature and the environment, music, American history, Tamil language and culture, bioimaging, computational science, coastal ecology and conservation, energy and the environment, computational biology, insurance and business, among many others. Prior to the Campaign, Stony Brook had only 11 endowed faculty positions on campus. New investments in areas of excellence such as Centre ValBio in Madagascar, Southampton graduate programs in creative writing and film, undergraduate research, the Alda Center for Communicating Science, the Gelfond Fund for Mercury Research, the Dubin Family Athletic Performance Center and at the Turkana Basin Institute in Kenya. $52.6 million for financial aid: $40.3 million for current use and $12.3 million for endowed undergraduate scholarships and graduate student fellowships. $1 million to modernize the North and Central Reading Rooms in the Melville Library and $5 million to expand the Simons Center for Geometry and Physics. $209.1 million for research and to create and support academic centers of excellence, including the Bahl Center for Metabolomics and Imaging, the Institute for Advanced Computational Science, the Laufer Center for Physical and Quantitative Biology, the Mattoo Center for India Studies, the Shinnecock Bay Restoration Program, the Lourie Center for Pediatric MS and the Thomas Hartman Center for Parkinson’s Research. 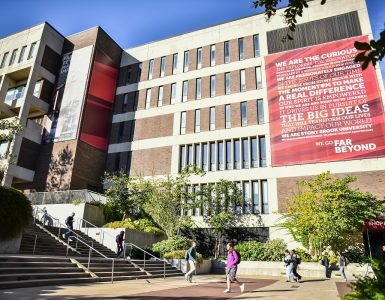 The quiet phase of the Campaign began in the fall of 2011 with a lead gift of $150 million from the Simons Foundation and former Math Department Chair Jim and Marilyn Simons. 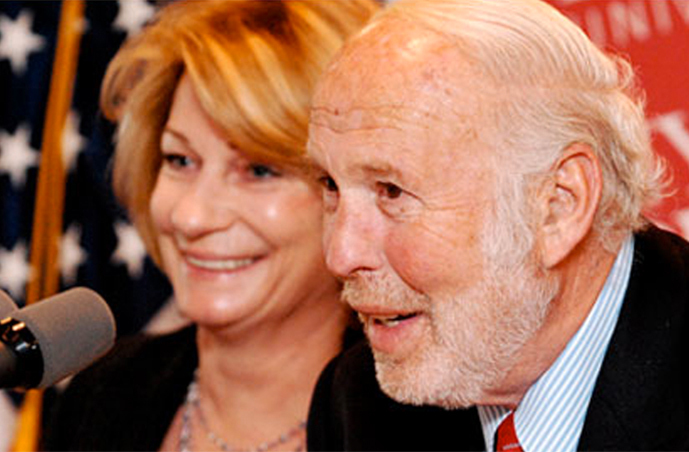 Their gift inspired 80 of Jim Simons’ colleagues at Renaissance Technologies—the Setauket quantitative investment company he founded and incubated on Stony Brook’s campus in the early 80’s—to donate more than $127.4 million to support a wide range of programs. $361.7 million in private dollars when it concluded in 2009. Since then, the University’s fundraising productivity climbed from approximately $28 million per year in 2011 to an average of $90 million per year, which equates to nearly $300,000 in philanthropic commitments every day and an average gift size of $6,587. In another metric of productivity, officials say the Campaign helped re-engage Stony Brook alumni around the world. A record number of alumni —17,343 in all—donated to fund scholarships, teaching, the arts, research and other initiatives at their alma mater. For more on The Campaign for Stony Brook results, visit stonybrook.edu/campaign. Stony Brook University, widely regarded as a SUNY flagship, is going beyond the expectations of what today’s public universities can accomplish. Since its founding in 1957, this young university has grown to become one of only four University Center campuses in the State University of New York (SUNY) system with more than 25,700 students and 2,500 faculty members, and 18 NCAA Division I athletic programs. 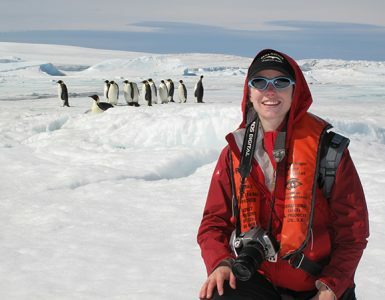 Our faculty have earned numerous prestigious awards, including the Nobel Prize, Pulitzer Prize, Indianapolis Prize for animal conservation, Abel Prize and the inaugural Breakthrough Prize in Mathematics. The University offers students an elite education with an outstanding return on investment: U.S.News & World Report ranks Stony Brook among the top 50 public universities in the nation. Its membership in the Association of American Universities (AAU) places Stony Brook among the top 62 research institutions in North America. 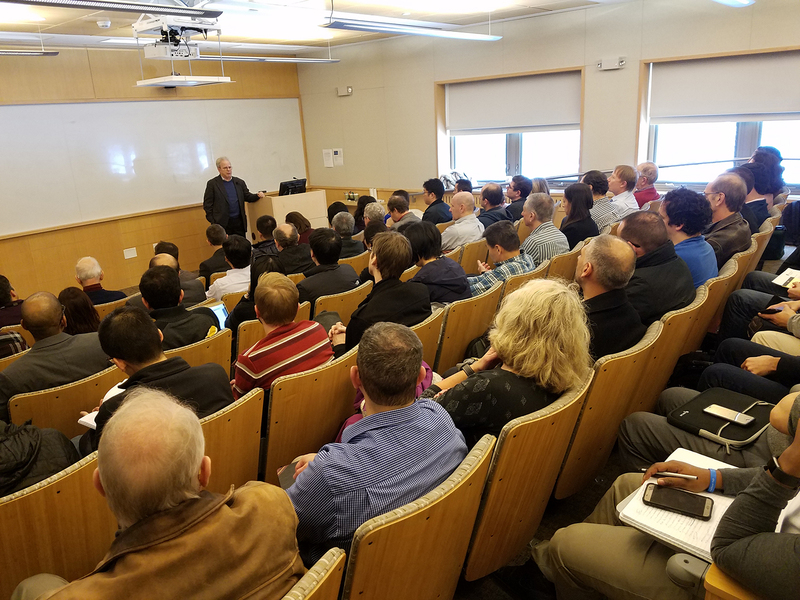 As part of the management team of Brookhaven National Laboratory, the University joins a prestigious group of universities that have a role in running federal R&D labs. Stony Brook University is a driving force in the region’s economy, generating nearly 60,000 jobs and an annual economic impact of $6.4 billion. Our state, country and world demand ambitious ideas, imaginative solutions and exceptional leadership to forge a better future for all. The students, alumni, researchers and faculty of Stony Brook University are prepared to meet this challenge.